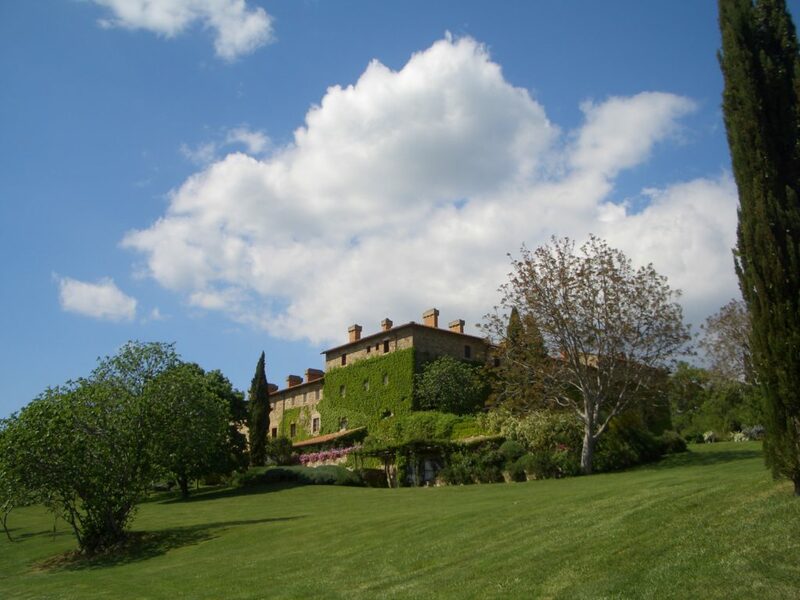 Antonio Origo -an Italian nobleman from Florence- and Iris, his young wife, bought La Foce in 1924 and dedicated their lives to bringing progress and social change to the poverty-ridden valley. During the Second World War and in its aftermath, the Origos remained at La Foce and sheltered evacuated children and escaped prisoners of war. Iris gives a vivid description of the events that engulfed La Foce during these difficult years in her book War in Val d’Orcia. The estate lies among the hills overlooking the Val d’Orcia, a beautiful and miraculously intact valley in southern Tuscany. Midway between Florence and Rome, it is also within easy reach of Siena, Arezzo, Perugia, Assisi and Orvieto. Renaissance and medieval gems such as Pienza, Montepulciano, Montichiello and Montalcino are only a few miles away. 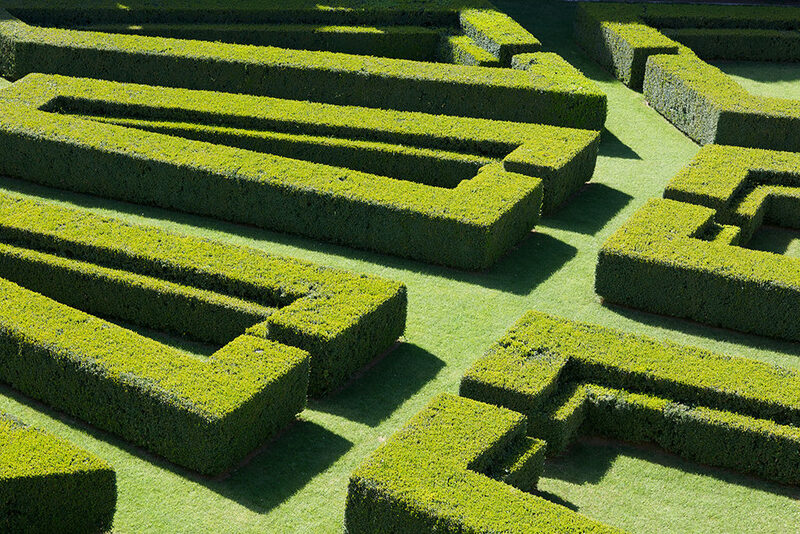 The gardens of La Foce (featured in the BBC2’s Monty Don’s Italian Gardens) were designed by the English architect Cecil Pinsent, who also created Bernard Berenson’s garden at Villa I Tatti. Conceived to enhance the Villa and expand the spectacular view over the valley of the Orcia river to Monte Amiata beyond, they were laid out between 1924 and 1939. The terraces gently blend with the landscape, following the humanistic Renaissance ideal of geometrical order close to the house, gradually becoming wilder as they approach the woods. 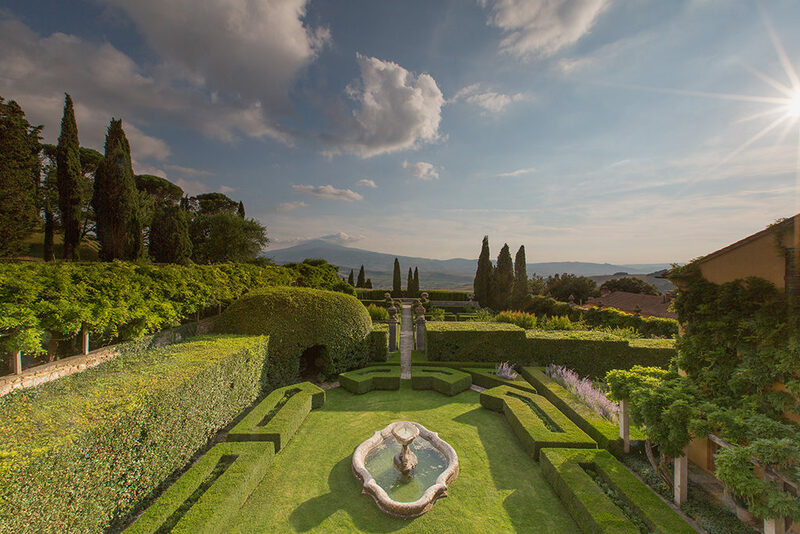 Lemon pots, roses, Mediterranean plants, wisteria, box parterres, laurel and cypress hedges, and paths and benches of travertine punctuate the natural curves of the hills. 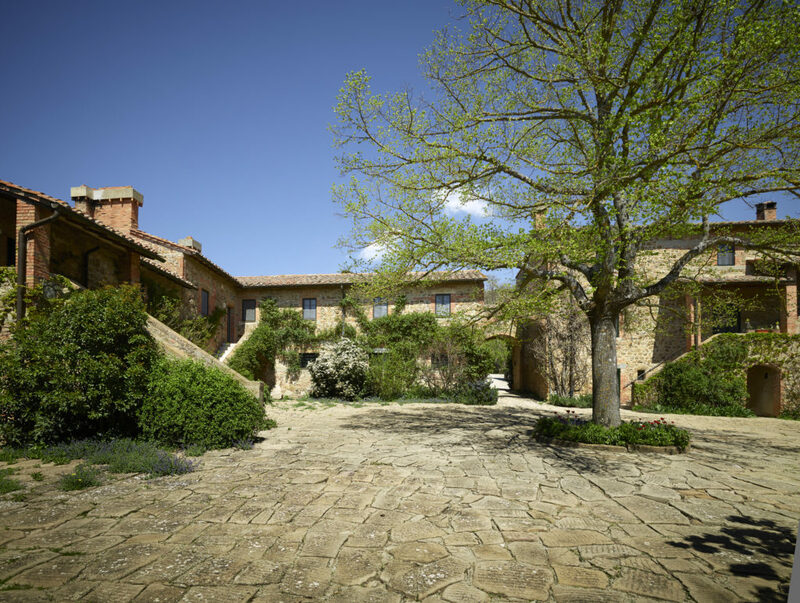 Antonio and Iris Origo purchased Chiarentana in 1924 as one of the farms on the La Foce estate. Its history, however, far predates La Foce and it was known in the early Middle Ages as Castello di Reggiano, or Reiano. Emperor Otto I stopped here on his way to Rome in 962. The Origos restored the impressive building early on as one of the principal La Foce farms, but it is Donata Origo, youngest daughter of Iris and Antonio Origo, who has brought the extraordinary transformation in recent years. Today, it produces an excellent olive oil. This year, for the first time, the Incontri is lucky enough to be able to call Chiarentana ‘home’ for the week of the festival, and most of the musicians will be staying here.